The Salt "Rookie" Rear Wheel - 16 Inch is made of the Salt "AM" Rim and the Salt "Rookie" Freewheel hub. 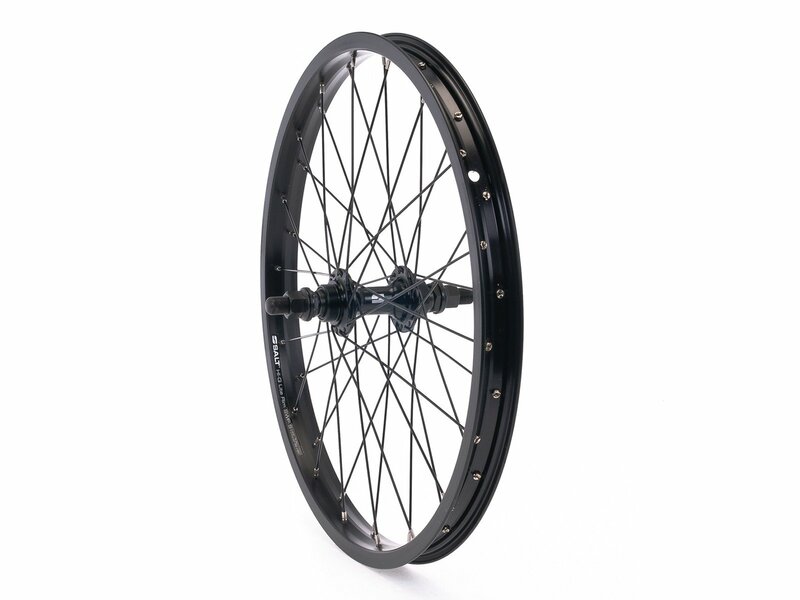 The Salt "Rookie" Freewheel Hub has a solid 10mm (3/8") CrMo Axle and is compatible with 13T to 15T RHD Freewheel. Note: The Salt "Rookie" Rear Wheel - 16 Inch comes without Freewheel!